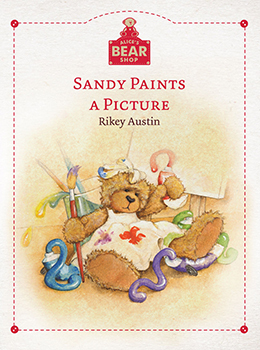 Alice Bear Shop Book Sandy Paints A Picture Discounts Apply ! Sandy Paints a Picture Sandy is a bear who lives with an artist just around the corner from Alice's Bear Shop. The artist's paintings always make people smile and Sandy wishes she could make someone smile too. And so begins Sandy's very messy but colourful adventure.